DESQview/X comes with an interesting looking hypertext help system. Help files are organized in to 4 or 5 sections each with their own tab, but each section may have many pages. 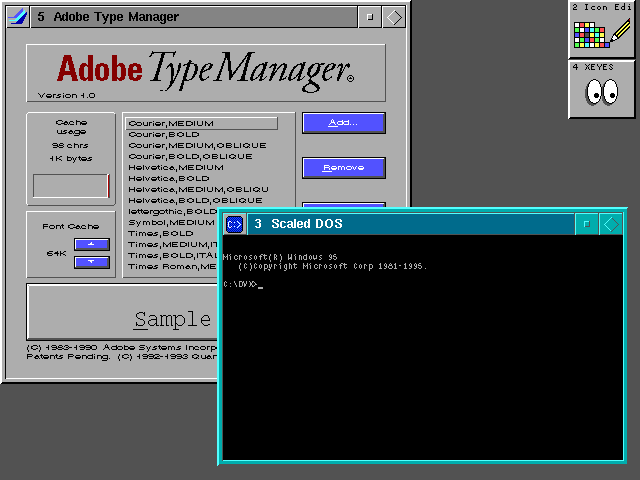 Adobe Type Manager is included to provide scaled fonts to various applications such as this DOS-box that can be resized to any size. 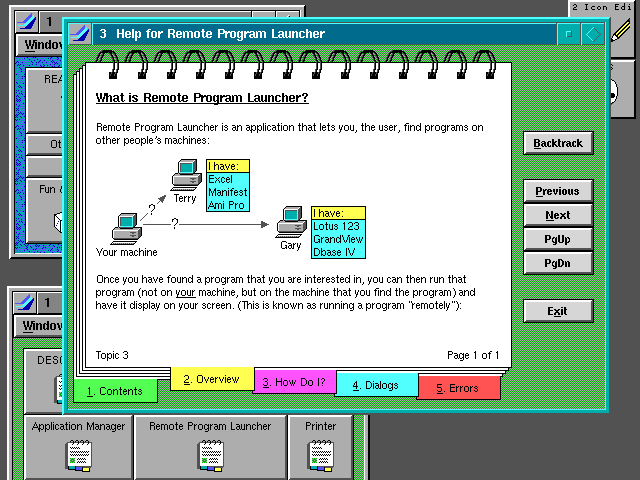 The regular DOS-box can not be resized. What would an OS be without a few games? 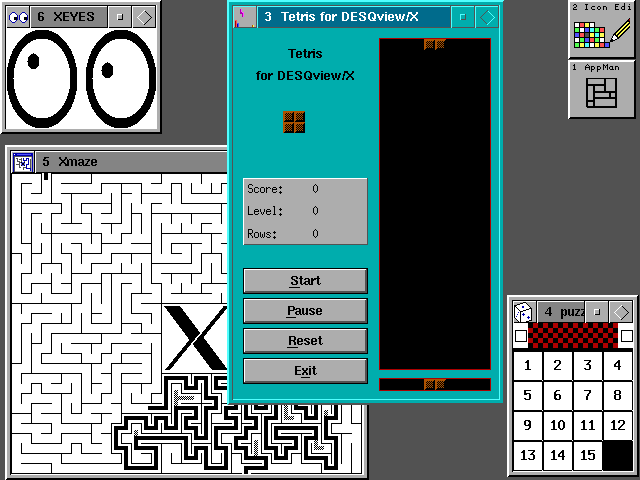 DESQview/X includes an icon editor that can create and edit .XPM icon files which are used by the Application Manager. It includes a screen capture function that I used to get these screen shots. (It treats the screen captures as huge icon files).